Don't arrive in Ushuaia, Punta Arenas, Longyearbyen or Tromso without your polar necessities! The "Polar Necessities" Package is a lightweight, "everything you need for your Polar expedition" package, of 9 essential items that will easily fit into your airline carry-on. No need to worry about lost luggage, and the package provides all of the items at a discount. The "Polar Necessities" Package includes the items detailed below. Please select your size and color choices from the drop down lists you see for each item. 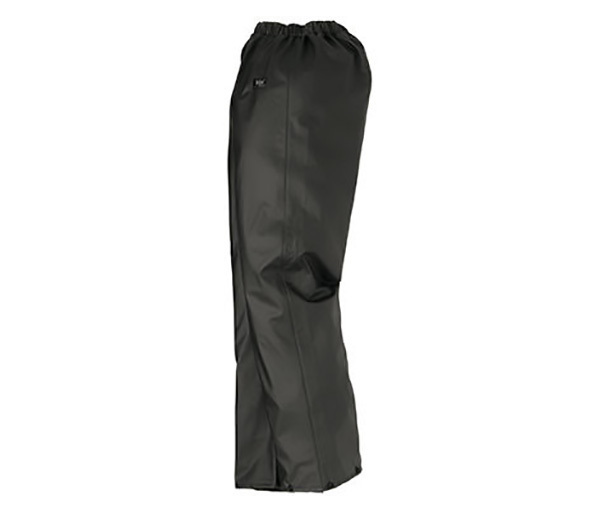 Helly Hansen Voss Waterproof Pants - these waterproof pants are lightweight, durable and keep out the rain and moisture. 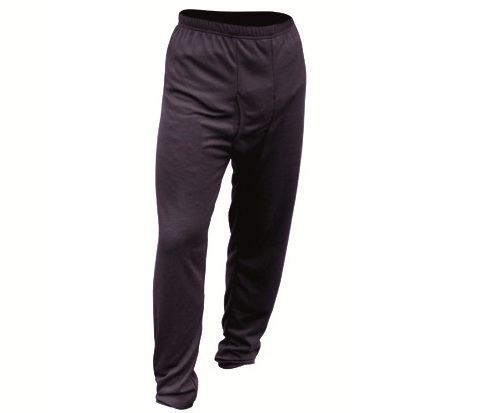 They feature Microweld seam construction with an elastic waistband with drawcord. They have snaps at the cuffs. 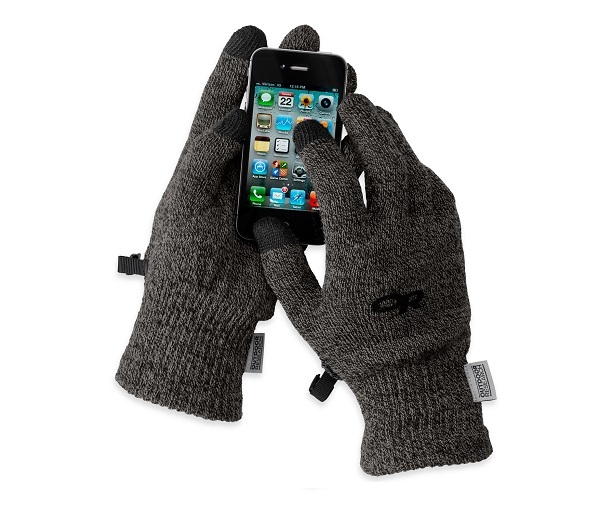 Arete Waterproof Glove Set- Made by Oudoor Research, this GORTEX, waterproof glove set comes in Men's and Ladies' sizes. 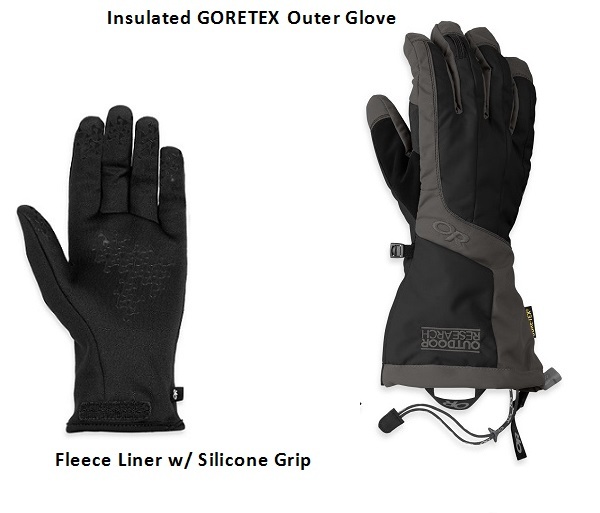 The outer GORTEX glove is insulated, windproof, waterproof, and breathable and easily goes over your jacket sleeve. The compatible fleece glove liners have silicon grip palms and a heat pack pocket for hand warmers - together these features offer added insulation and warmth in intense conditions and allow them to be worn independently from the shells on warmer days. The combination makes for ideal protection for whatever weather Mature Nature throws your way in Antarctica or the Arctic. Thermal Top & Pants - This "Made in the USA" midweight thermal top & bottom set is an excellent moisture wicking, breathable, midweight base layer, made of technologically-advanced fabrics - the perfect weight for Arctic and Antarctica expeditions during each of their respective summer seasons. It's very quick drying with anti-microbial properties for odor control. Tilley Expedition & Walking Socks (includes 3 pairs Midweight Merino Wool Socks - one of each color) - The most comfortable socks you'll ever wear! Specifically designed for walking and hiking, they're made primarily of fine, ‘itchless’ Merino wool (63%) for softness and warmth; Teflon in the toe and heel to reduce blister-causing friction; a stretch nylon component gives them strength and durability; and a lycra component gives them support and shape retention. 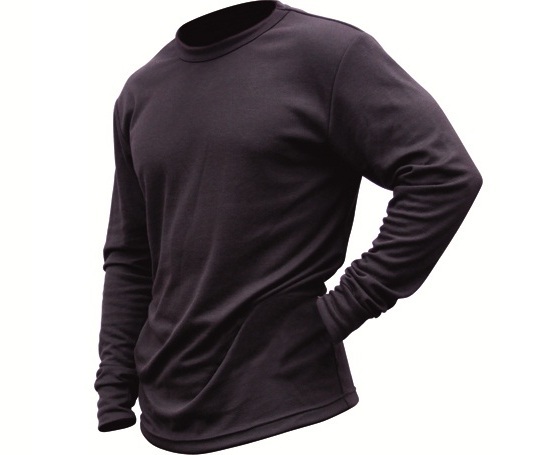 Bamboo Performance Zip Turtleneck – Yes, it has significant Bamboo content - a natural fiber that is soft as silk, yet it insulates, wicks, and breathes with the best of them! It has natural anti-microbial properties - it won't retain smell as is often the case with other performance fabrics. Woven with a little bit of polyester for enhanced durability, you can wear it "on its own" or as a base layer. You'll love the thumb holes on the cuff - it prevents your sleeve from riding up during wear or while putting on your jacket, mittens, or gloves. The perfect shirt for your Polar Expedition! BioSensor Glove Liners - i-Touch and touch screen compatible, these gloves by Outdoor Research are a combination of Merino wool and polyester with stainless steel woven into the tip of the thumb and index finger tip making them touch-screen friendly. 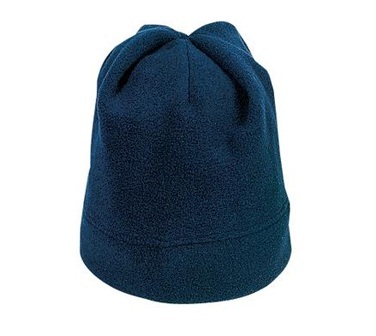 The Merino wool makes them naturally wicking, insulating, and anti-microbial. They weigh a mere 1.7 oz. All Terrain Lip Balm - Designed to protect sensitive lips from burning, chapping and sun blisters, this lip balm is SPF 25 rated, has a light mint flavor, with a weight / volume of .14oz. 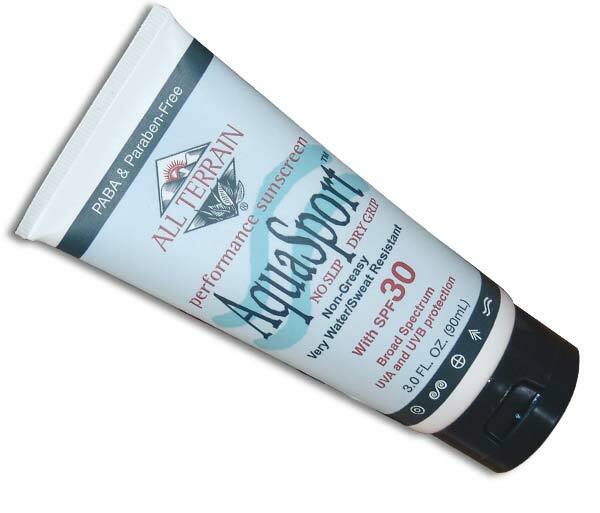 AquaSport SPF 30 w/ Zinc - Waterproof SPF 30 sunscreen with Z-Cote®, a transparent zinc oxide, which offers the broadest and best ultraviolet protection in both UVA/UVB ranges. Made from natural ingredients.